Note: The boxed product contains DVDs for Windows and a download link for Mac. A brand-new function in the new software "MEGURINE LUKA V4X" allows you to vary the expression and control the strength of each word! 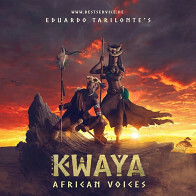 The bilingual vocalist sings seamlessly between styles such as "sweet breathy voice" and "growling voice". The new version of "MEGURINE LUKA V4X" contains each 2 English and 2 Japanese databases which were elaborated for improving expressiveness. Each database was optimized for Cross Synthesis (voice morphing) and Growl functions which allow you to change the tension of the voice easily, and give also growl-like expressions to the voice. 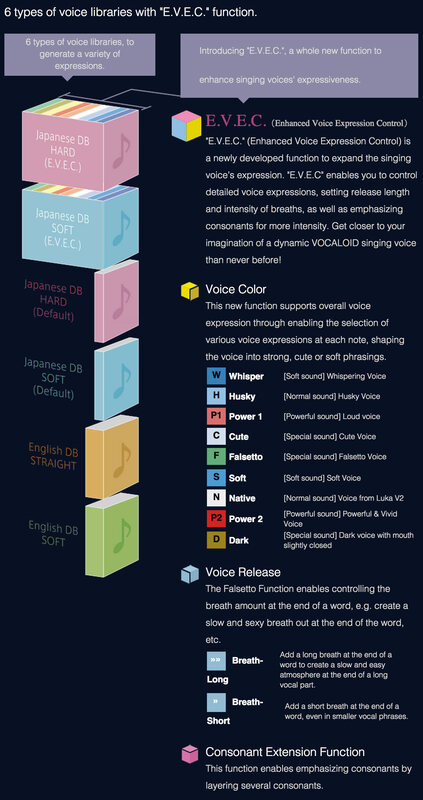 In Japanese, you can choose voice variations at each note in the song by the newly Crypton-developed function called "E.V.E.C" ("Enhanced Voice Expression Control"). Imagine the control of various expressions within one song: in a softer part of the voice whispers, whereas in the melodic in the melodic main part the vocalist pitches into a stronger high voice. Until now known limits of vocal expression are lifted with this new control! For your immediate music production, Crypton provides an all-in-one package including the new "Piapro Studio" vocal editor that lets you easily handle vocal functions such as E.V.E.C and pitch graphic control, and the music software "Studio One" which contains over 200 virtual instruments. 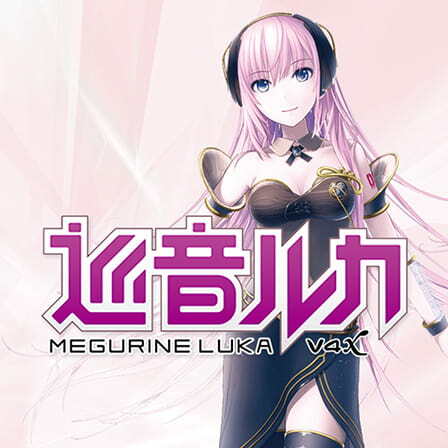 The database of MEGURINE LUKA V4X is based on a human voice, provided by Japanese voice actress Yuu Asakawa, and carefully recorded in a high-standard studio environment. 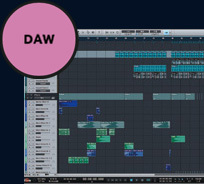 Every sound was precisely edited to produce this database that includes different kind of vocal sounds. 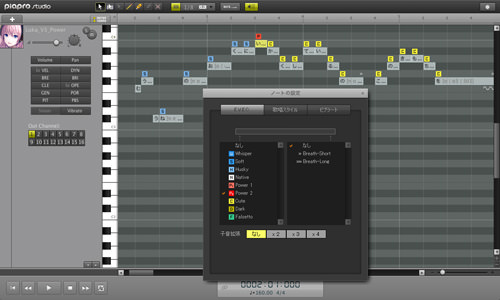 The database contains both Japanese and English and it is compatible with all the functions such as E.V.E.C, Gender Factor, Brightness, Cross Synthesis (morphing function), Growl (growl-like expressions to the voice), which can be operated through bundled vocal editor "Piapro Studio". In Japanese, the newly Crypton-developed function "E.V.E.C." makes it possible to control the tension of the voice at each note, the variation in vocal sounds, breath length and intensity, and the emphasis of consonants at the end of a word. While Cross Synthesis (Morphing Function) makes it possible to control the voice type, the Growl function enables an expression of a roaring voice. 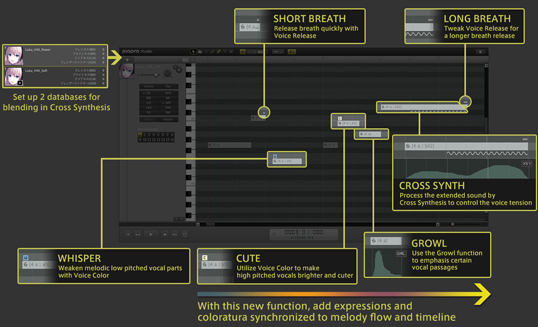 By combining those new functions, it's possible to give a wide variety of vocal expressions. This database is characterized by a powerful voice that increases in strength as the pitch gets higher. It's suitable for expressing sharpness and precision in the voice when combined with the Voice Color control of E.V.E.C. It's also possible to set accents in the voice such as adding intensity of mouth closure and partially creating a cuter voice tone. This database is characterized by a soft and gentle voice. By combining the Voice Color function of E.V.E.C together with this database, it's s possible to express the fragile sound of breathing that is suited for singing a ballad. It makes it possible to give dynamic expressions which weren't possible to express with the previous Soft/Whisper Database by putting stronger Voice Color accent. 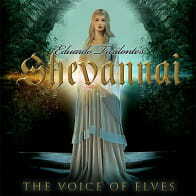 This database is characterized by its smooth voice quality with a natural pronunciation. The Cross Synthesis function gives you full control over the voice's tension. This database is characterized by its soft and gentle voice. The Cross Synthesis function gives you full control over the voice's tension. A vocal editor that allows you to easily operate and modify Miku's voice, Piapro Studio works as a VSTi plugin, and therefore performs at a high compatibility with main music production applications (PreSonus Studio One, Ableton Live, Steinberg Cubase etc.). Since version 1.1., Piapro Studio also supports AU (Mac) Plugin, which enables you to use Piapro Studio in Apple Logic and Apple Garage Band. MEGURINE LUKA V4X comes in an all-in-one package for your own music production of Miku songs! The product contains Luka singing voice database, vocal editor Piapro Studio and the music production application Studio One Artist Piapro Edition coming with over 200 virtual instruments (guitar, piano, drums, and various other synthesizers). All applications can be synched with each other which enables you to easily produce whole musical compositions! 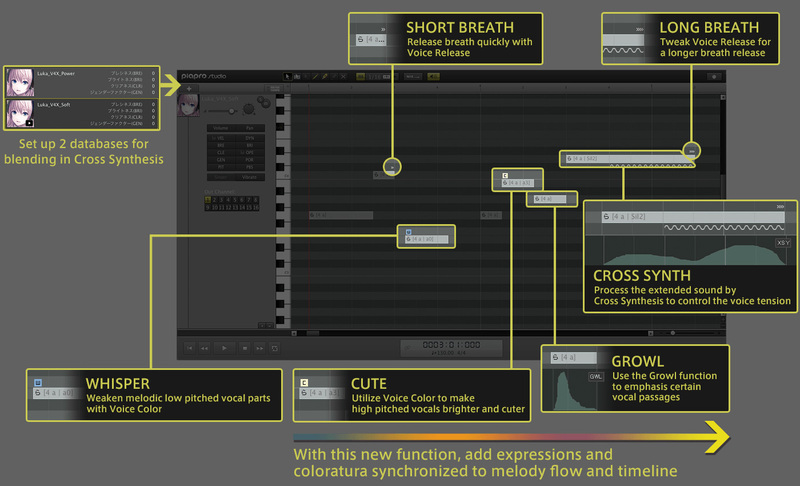 With Studio One Artist, you can not only create rhythms and melodies, but also add all kinds of effects on Luka's voice! The software's intuitive operation interface allows easy editing, mixing and mastering of your musical creations. Studio One Artist Piapro Edition comes with over 200 instruments, enabling your creativity to explore and compose for a wide range of music genres. Guitar / Bass / Keyboard / Drum / Strings / Woodwind / Percussion and more! 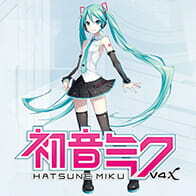 Hatsune Miku V3, Meiko V3 and Kaito V3 Vocaloid software also updated! If you are a user of "HATSUNE MIKU V3" (including HATSUNE MIKU V3 BUNDLE), "KAITO V3" or "MEIKO V3", Piapro Studio will get updated from the VOCALOID3 engine to the VOCALOID4 engine on installation of "MEGURINE LUKA V4X". As a result, the functions of the VOCALOID4 engine listed below will also be available for "HATSUNE MIKU V3", "KAITO V3" and "MEIKO V3". Users who already own any of the "HATSUNE MIKU V3", "HATSUNE MIKU V3 BUNDLE", "KAITO V3" or "MEIKO V3" products can purchase "MEGURINE LUKA V4X" at a promotional price for a limited period. The Following End User License Agreement is included with Megurine Luka V4X. This License is only valid for the individual who has purchased an unopened, new and lawfully made copy of Megurine Luka V4X from a dealer or distributor authorized by Big Fish Audio. "END USER LICENSE AGREEMENT PLEASE READ THIS END USER LICENSE AGREEMENT ("AGREEMENT") CAREFULLY BEFORE USING THIS SOFTWARE AND VOICE LIBRARY. BY USING THIS SOFTWARE AND VOICE LIBRARY, YOU AGREE THAT THE TERMS AND CONDITIONS OF THIS AGREEMENT WILL GOVERN YOUR USE OF THE SOFTWARE AND VOICE LIBRARY. THIS AGREEMENT IS AMONG YOU (AS AN INDIVIDUAL OR LEGAL ENTITY,) YAMAHA CORPORATION ("YAMAHA"), AND CRYPTON FUTURE MEDIA, INC. ("CRYPTON"). BY INSTALLING, COPYING, OR OTHERWISE USING THIS SOFTWARE AND VOICE LIBRARY, YOU ARE AGREEING TO ALL THE TERMS AND CONDITIONS OF THIS AGREEMENT, AND YOU AGREE TO BE BOUND BY THEM. IF YOU DO NOT ACCEPT THESE TERMS AND CONDITIONS WE ARE UNWILLING TO LICENSE THE USE OF SOFTWARE AND VOICE LIBRARY TO YOU AND YOU SHOULD NOT USE THE SOFTWARE AND VOICE LIBRARY. IN ADDITION, THIS AGREEMENT SPECIFIES THE USE OF THIS SOFTWARE AND VOICE LIBRARY AND SYNTHESIZED SINGING PRODUCED BY USER, BUT IS NOT APPLIED TO THE USE OF THE CHARACTER ON THE PACKAGE OF THIS PRODUCT ("CHARACTER"). IN REGARD TO THE USE OF CHARACTER, FOLLOW THE APPLICABLE LAWS AND CRYPTON'S COPYRIGHT POLICY (http://piapro.net). 1. DEFINITIONS As used in this Agreement, the following terms shall have the following meanings: Software: means VOCALOID(TM)3 Editor or Tiny VOCALOID(TM)3 Editor contained in this VOCALOID(TM)3 Product ("Product"), VOCALOID API ("API"), or plug-in software for the VOCALOID(TM)3 Editor developed by Yamaha, including any future versions, improvements, developments, programming fixes, updates and upgrades thereof. Synthesized Singing: means any audio output produced by you, using the Software and the Voice Library. Voice Library: means the audio library database made by Crypton consisting of recordings of singing, or any part or component thereof, which may be included with this VOCALOID(TM)3 Product. 2. GRANT OF LICENSE AND COPYRIGHT Subject to the terms and conditions of this Agreement, Yamaha and Crypton hereby grant you a non-exclusive, non-sublicensable, non-transferable and revocable license to install and use one copy of the Software and Voice Library on one single computer for commercial or non-commercial purposes. 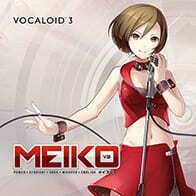 License on the Software and Voice Library are granted to the original purchaser (end-user) of this VOCALOID(TM)3 Product only. Under this Agreement, the Software or Voice Library is construed to be "in use" on a computer or other device when it, or any part of it, is loaded into the temporary memory or installed in the permanent memory of that computer or device. You agree that all title to the Software and Voice Library, and intellectual property rights therein, shall at all times remain solely and exclusively with Yamaha or Crypton, that the Software and Voice Library contain proprietary information and material that are protected by relevant copyright laws, trade secret laws, and all applicable international treaty provisions, and that you will not use such proprietary information or material in any way whatsoever except for permitted use hereunder. While you may be entitled to claim ownership of the Synthesized Singing created by the use of Software and Voice Library, the Software and Voice Library will continue to be owned by Yamaha or Crypton and protected under relevant laws or treaties. All rights not expressly granted to you hereunder concerning the Software, Voice Library, and the Synthesized Singing are reserved by Yamaha and Crypton. 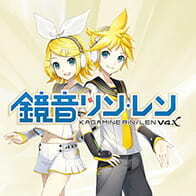 All content in or on this VOCALOID(TM)3 Product (including audio, graphic, textual or video content) is the property of the applicable content owners and may be governed by separate additional license agreements or guidelines of the content owner, and protected by applicable copyright law. This Agreement gives you no right to such content, other than as specified in this Agreement. 3. LIMITATIONS ON USE; PROHIBITED USES You may not publish or distribute in any manner Synthesized Singing that includes lyrics which are against public policy. You may not use the Software and Voice Library (i) in violation of any applicable law or regulation, (ii) in any manner that might infringe the copyright, trademark, trade secret or other intellectual property rights of others or violate the privacy, publicity or other personal rights of others including the original singer of the Voice Library, or (iii) in a manner that is defamatory, obscene, hateful, threatening, abusive, or otherwise objectionable. In no event will Yamaha and Crypton be liable for any and all claims, suits or consequential, incidental or special damages arising out of or in connection with your publishing or distributing Synthesized Singing. You may not use, publish or distribute Synthesized Singing for the Character used in a way which infringes applicable laws or Crypton's copyright policy, regardless of media such as motion pictures, illustrations, sculptures or any others. You may not rent, lend, lease, sell, assign, transfer or grant any rights in all or any part of the Software and Voice Library, or use it (or any part of it) or the Synthesized Singing as a component of any competing software product. All unauthorized giving, trading, lending, renting, re-issuing, re-distributing or re-selling of the Software and Voice Library are expressly prohibited. You may not engage in reverse engineering, disassembling, decompiling or otherwise deriving a source code form of the Software and Voice Library by any method whatsoever, and may not reproduce, modify, change, rent, lease, or distribute the Software and Voice Library in whole or in part, or create derivative works thereof. 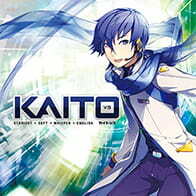 You may not reproduce or duplicate any part of the Software and Voice Library contained in this VOCALOID(TM)3 Product, regardless of whether as it exists on the included disc(s) or by any means of reformatting, mixing, filtering, re-synthesizing, processing or otherwise editing for use in another product or for resale, or in any way that may enable others to obtain a copy of the Software and Voice Library, without the express written consent of Yamaha and Crypton. You may not distribute the Software and Voice Library or any part thereof on a public bulletin board, ftp site, World Wide Web site, or distribute it by any other means. You may not electronically transfer or post the Software and Voice Library or any part thereof to another person or group of persons over the Internet or place it or any part thereof in a computer/sampler network to be accessed by multiple users. You may not transfer ownership of the DVD/CD-ROM(s) included with this VOCALOID(TM)3 Product or the Software and Voice Library or programs contained therein. You may not resell or copy the DVD/CD-ROM(s). The license to use this Product is granted for a single user only. You may not resell this VOCALOID(TM)3 Product as a used product to someone else because this is a non-transferable license of the Software and Voice Library. You may not use the Software and Voice Library in a mode of operation where the Software and Voice Library are unattended by an operator for any purpose whatsoever, other than for personal use. You may not use or have your clients use the Software and Voice Library as part of recording studio or rental company services, as each person who uses the sounds must be a licensed user. You may not remove or alter any copyright notices on all copies of the Software and Voice Library. 4. SEPARATE ADDITIONAL LICENSE 4.1. The following types of usage of the Synthesized Singing made by using the Software and Voice Library may require a separate additional license from Yamaha and Crypton which may incur a license fee calculated according to the type of usage. If you wish to obtain such additional license, you should in the first instance contact Yamaha or Crypton to discuss their particular requirements. (a) Use "VOCALOID(TM)", the title of this Product (MEGURINE LUKA) or other similar representations ("Contract Representation") for following products or services using Synthesized Singing for commercial purposes: i. Products or services with credits such as the name of singers, artists, instruments or otherwise and with Contract Representation. ii. Products or services with Contract Representation on its package, promotional materials or any other advertising. iii. Movies with Contract Representation in opening credits, closing credits or otherwise displayed in a way that all consumers can recognize. (b) Use in a commercial Karaoke or similar service/system to provide vocals including backing vocals, including use to create commercial Karaoke software, Karaoke hardware, and internet-based Karaoke products systems and services. (c) Use commercially as telephone ringtones or as audio alerts or signals in telephone or telecommunication equipment, except when used in combination with other musical instruments or sounds within a musical composition. 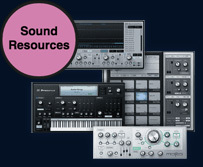 (d) Use as built-in voice or sound for consumer electronics products, robots, car navigation system, gambling machines, musical instruments, computer software, game software, or any other hardware and software products. (e) Use for persons or characters in commercial motion pictures (such as, but not limited to, animation, commercial films, video games) as if they sing or perform the Synthesized Singing. (f) Use for commercial CDs, records, audio-tapes, MDs, hard discs, flash memory cards, IC memory cards or any other recording media ("Records" as a collective term) produced by a legal entity (regardless of its own recordings or recordings provided by others) and for distribution or distributing the contents in Records online. 4.2. 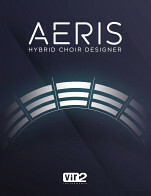 You are obliged to ask others whom you grant a license to use your Synthesized Singing or tracks using the Synthesized Singing in the field of use as set forth in Subsection 4.1 (including, but not limited to, a license for providing songs for Records or distributing them online) to contact Crypton in advance. 5. LIMITED WARRANTY YAMAHA AND CRYPTON MAKE NO REPRESENTATIONS ABOUT THE SUITABILITY OF THE SOFTWARE, VOICE LIBRARY OR SYNTHESIZED SINGING, OR ABOUT ANY CONTENT OR INFORMATION THAT YAMAHA AND CRYPTON HAVE PROVIDED ON THESE DISC(S), FOR ANY PURPOSE. THE SOFTWARE AND VOICE LIBRARY ARE PROVIDED "AS IS" WITHOUT EXPRESS OR IMPLIED WARRANTIES, INCLUDING WARRANTIES OF SATISFACTORY QUALITY, PERFORMANCE, MERCHANTABILITY, FITNESS FOR A PARTICULAR PURPOSE, AND NONINFRINGEMENT. THE ENTIRE RISK ARISING OUT OF USE OR PERFORMANCE OF THE SOFTWARE AND VOICE LIBRARY REMAINS WITH YOU. YAMAHA AND CRYPTON DO NOT AND CANNOT WARRANT THE PERFORMANCE OR RESULTS YOU MAY OBTAIN BY USING THE SOFTWARE AND VOICE LIBRARY OR ANY DOCUMENTATION. THIS WARRANTY IS GIVEN IN LIEU OF ALL WARRANTIES, CONDITIONS, TERMS, UNDERTAKINGS AND OBLIGATIONS IMPLIED BY STATUTE, COMMON LAW, CUSTOM, TRADE USAGE, AND COURSE OF DEALING OR OTHERWISE, ALL OF WHICH ARE HEREBY EXCLUDED BY THE FULLEST EXTENT PERMITTED BY LAW. 6. LIMITATION OF LIABILITY NEITHER YAMAHA NOR CRYPTON, ITS SUPPLIERS, DEALERS, DISTRIBUTORS, AGENTS OR EMPLOYEES, WILL BE LIABLE FOR (a) ANY INDIRECT, CONSEQUENTIAL, SPECIAL OR INCIDENTAL DAMAGES OF ANY SORT, SUCH AS DAMAGES FOR LOST PROFITS, BUSINESS INTERRUPTION OR LOSS OF DATA ARISING OUT OF THE USE OF THE SOFTWARE AND VOICE LIBRARY OR ARISING OUT OF THE USE OF THE SYNTHESIZED SINGING, WHETHER OR NOT YAMAHA OR CRYPTON HAS BEEN NOTIFIED OF THE POSSIBILITY OF SUCH DAMAGES, OR (b) FOR ANY CLAIM BY ANY OTHER PARTY. IN NO EVENT WILL THE MAXIMUM AGGREGATE LIABILITY OF YAMAHA AND CRYPTON BE IN EXCESS OF THE AMOUNT YOU HAVE PAID FOR THIS VOCALOID(TM)3 PRODUCT. 7. GENERAL TERMS This Agreement is effective until terminated. Failure to comply with any provisions of this Agreement will result in automatic termination of this Agreement and may result in legal action. Yamaha and Crypton may terminate this Agreement at any time by delivering notice to you and you may terminate this Agreement at any time by destroying or erasing or uninstalling your copy of the Software and Voice Library. Upon termination, you agree to destroy all copies of the Software and Voice Library in your possession. In the event of termination, the following sections of this Agreement will survive: 3, 4, 5, 6, and 7. This Agreement is personal to you and you agree not to assign your rights herein. The Software and Voice Library are provided with restricted rights. If any provision of this Agreement is illegal or invalid, such provision shall be changed and interpreted so as to best accomplish the objectives of the original provision to the fullest extent allowed by law and the remaining provisions of this Agreement shall remain in full force and effect. This Agreement shall be governed by the laws of Japan and shall be subject to the exclusive jurisdiction of the Tokyo District Court of Japan without reference to conflicts of laws principles. All legal notices, notice of disputes, and any other notice which purports to change these provisions or to assert legal entitlements must be sent in writing to: If to Yamaha: Manager, yamaha+ Division Yamaha Corporation 10-1, Nakazawa-cho, Naka-ku, Hamamatsu, Shizuoka, 430-8650, Japan If to Crypton: Manager, Crypton Future Media, Inc. 11F Nihon Seimei Sapporo Bldg, 1-1 Nishi 4 Kita 3, Chuo-ku, Sapporo, Hokkaido, 060-0003, Japan 8. ACKNOWLEDGEMENT You acknowledge that you have read this Agreement, understand it and agree to be bound by its terms and conditions. You also agree that this Agreement is the complete and exclusive statement among the parties and supersede all other prior communications or agreements among the parties relating to the subject matter of this Agreement. Yamaha and Crypton may at any time revise this Agreement, and you agree to be bound by this Agreement in the latest form by accepting any such revisions notified by Yamaha and Crypton or continue to use the Software and Voice Library knowing such revisions thereafter."